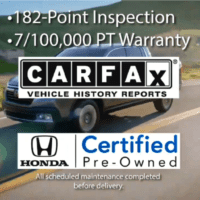 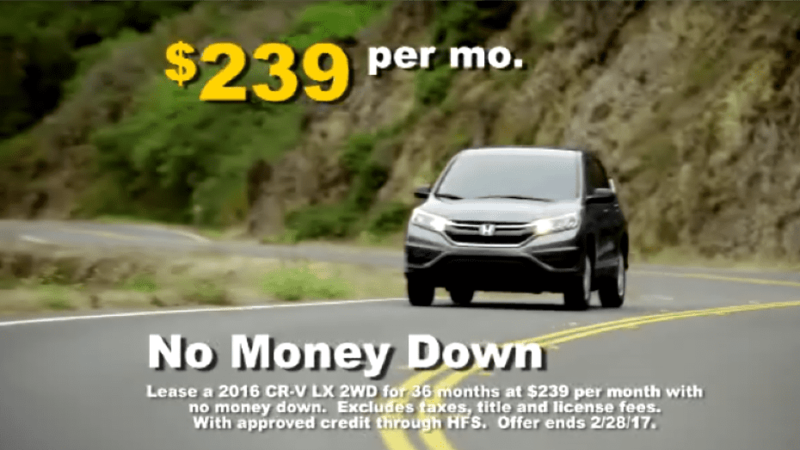 It’s clearance time at Don Wessel Honda, along with no payments ’til Spring on every new Honda. 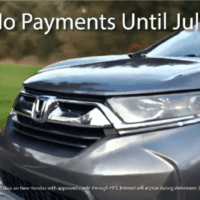 That’s right, drive away in any new Honda today with no payments until Spring! 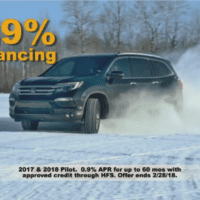 Be ready for winter with a new all-wheel-drive Pilot, available now at zero-point-nine percent financing. 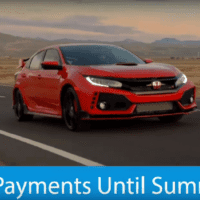 Hurry-in today for the best selection, low zero-point-nine percent financing, plus NO PAYMENTS ’til Spring on every new Honda, during Happy Honda Days at Don Wessel Honda, the home of legendary service.